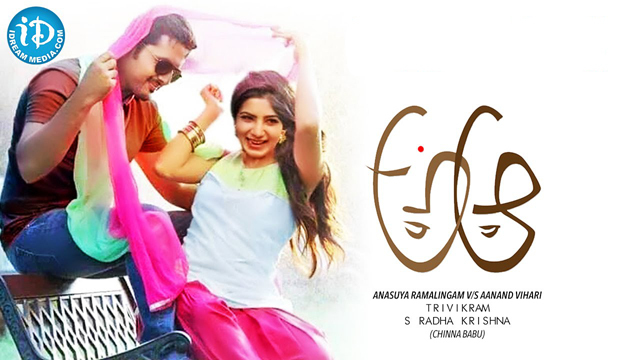 Nithin ‘s latest movie “A AA” (Anasuya Ramalingam Vs Anand Vihari) has hit the theaters today. And getting a positive response from audience nearly getting a HIT talk all around the state as well as country. As of the audience received the movies it is a romantic comedy written and directed by Thrivikram . It has been produced by S. Radha Krishna under his banner Haarika and Haasini Creations. This film has the all proportion s of good entertainment and Thrivikram tried to repeat the magic of Nuvve Nuvve as a romantic love story in this film. Nadiya is played Samantha’s mother character and Ananya , the Tamil actress played a crucial character too. The film is totally on Samanta Character. It has a higher scope for the heroin’s performance. Samantha was introduced with the suicide attempt in the film. Her mother Nadiya is likely to remember the Bommarillu Father Character. Samantha’s father sends her to a village near Vijayawada to change her mind. There are some interesting turns in the journey makes the movie amazing. As compared to Samantha , Nithin’s character is much low preferable. In the bottom line A AA” (Anasuya Ramalingam Vs Anand Vihari) is a decent hit in summer and good story designed by Thrivikram.